The Institute for Integrative Healthcare Studies was founded in 1996 to provide lifelong learning resources for healthcare professionals. In our mission of offering tools and ideas for professional growth, we serve our colleagues through educational opportunities that enhance their abilities and deepen their knowledge to practice safely and ethically. 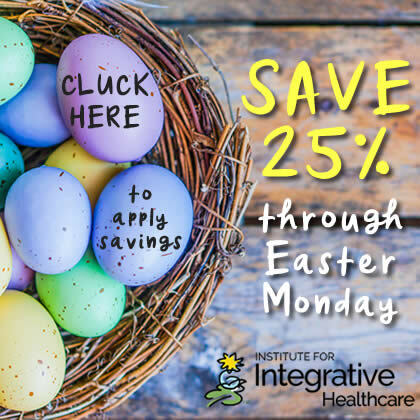 Over the years the Institute for Integrative Healthcare Studies has been the leader in providing home study continuing education (CE) courses for massage therapy professionals. With over 215,000 massage therapy CE course enrollments to date, the Institute is the pre-eminent provider of home study massage continuing education. The Institute for Integrative Healthcare Studies is approved by the NCBTMB as a continuing education Approved Provider (#049478-00). Approved since 1996, the Institute is one of the first continuing education providers to become approved and offers more home study CE programs for National Certification renewal than any other provider. The Institute’s courses are accepted by the American Massage Therapy Association (AMTA) and the Associated Bodywork & Massage Professionals (ABMP). 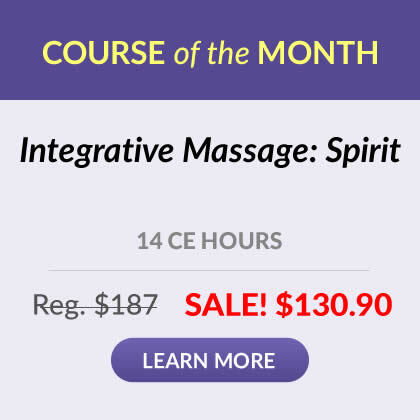 The Institute offers the largest and broadest selection of massage therapy CE courses available for home study with over 160 massage CE courses, over 90 of which are available totally online. Our CE courses are convenient, cost-effective, self-paced and easy to follow, providing lifelong learning resources for health professionals. The Institute offers approved massage CE courses for all states that require massage continuing education and accept home study. We were the FIRST independent home study continuing education provider to become an Approved Provider by the New York State Board of Massage (#0012). Known as one of the more stringent state boards for approving continuing education providers and programs, the Institute has been approved by the Florida Board of Massage since 1998. Over 160 programs are approved by the Florida Board of Massage (#50-1017) and we report all credits to CE Broker regularly. Approved by the Louisiana Board of Massage as a Louisiana CEU Provider in 2000, the Institute offers over 40 Louisiana Board approved CE programs – more than any other Louisiana CEU Provider (#LAP0056). Since 2002, the Institute has been an approved provider of CE programs for the State of Mississippi Board of Massage (#MAP0006). While the Texas Board of Massage will accept non-technique courses through NCBTMB Approved Providers, we went the extra step and also became an approved continuing education provider for the State of Texas. (CE1428). We are approved as a continuing education provider by the Georgia Board of Massage (#50-1017) and report all credits to CE Broker regularly. We offer the largest number of home study programs approved by the College of Massage Therapists of Ontario (CMTO), allowing those licensed in Ontario and Newfoundland and Labrador to use our CEUs for massage license renewal. We have grown from our original intention to educate healthcare professionals, to also offer personal self-help tools and ideas of interest to everyone who wants to embrace healthful living. We are still growing and are committed to continually updating and expanding our offerings in the future.